This is enough for Caiaphas to sentence Jesus to death, although he doesn’t actually have the authority to order Jesus killed; he needs the Romans for that. Today, the courtroom drama seems like one of the most popular genres on TV, and it certainly can produce many dramatic scenes, even when the condemned would not normally be hit or spat at, as Jesus was. I remember my first time in court: I was speaking as a character witness for a church member caught drink driving. He accepted his wrongdoing but asked for lenient sentencing. What I learned is that it is good to have someone speak up for you in court. An advocate can really make a difference in sentencing! But there was no one to speak up for Jesus. He didn’t even speak up for himself. Initially, he remained silent. And when he finally responded, he seems to have been intent on making the charges stick. But he also seemed to say that, one day, he would sit at the judgment seat, so it was really the High Priest and those who accused him that were on trial. It appears that Jesus preferred to be called the Son of Man. He refers to himself as the Son of Man 83 times in the Gospels, and he is also referred to as the Son of Man in Acts 7:56 and Revelation 1:13 & 14:14. After Peter’s confession of Jesus as the Messiah, Jesus immediately referred to himself as the Son of Man. But who is this Son of Man? Jesus didn’t invent the phrase but took it from the Old Testament. The Bible refers to human being as the son of man in Numbers 23:19 and Psalm 8:4. It also refers to the nation of Israel as the son of man in Psalm 80:15 and Psalm 80:17. In the Book of Ezekiel God calls the prophet Ezekiel the son of man 93 times. Daniel is called the son of man in Daniel 8:17. What is interesting in this context is that, for example in Ezekiel 22, when God calls the prophet Ezekiel a son of man, he asks him to prophesy the destruction of Jerusalem. So, on one level, if the people present in the Council saw Jesus as a prophet, they could have seen this conversation from the perspective of a confrontation between a prophet of judgment and the High Priest, especially as Jesus had cried for Jerusalem and prophesied the destruction of the Temple. In Daniel 7:21-22 the son of man represents the saints who will also receive the kingdom. But the son of man can also refer to the Messiah. In Daniel 7:13-14, the Son of Man is victorious through suffering and receives an everlasting kingdom. It seems that when Jesus called himself the Son of Man during his ministry, it allowed him to say certain things about his mission and identity whilst avoiding the blasphemy charges. It was only when he was certain that it was time for him to die that he was willing to remove all the protective ambiguity and space for diverse interpretations that the title possessed. But the title clearly isn’t simply some protective cloak. It also brings together Jesus’ humanity, messiahship, prophethood, death and resurrection, ascension into heaven, his receiving “all authority”, giving the kingdom to his followers, authority to save, to forgive and to judge the nations, his place of honour at the Father’s right hand and his close association with the Father as the divine Son of God. 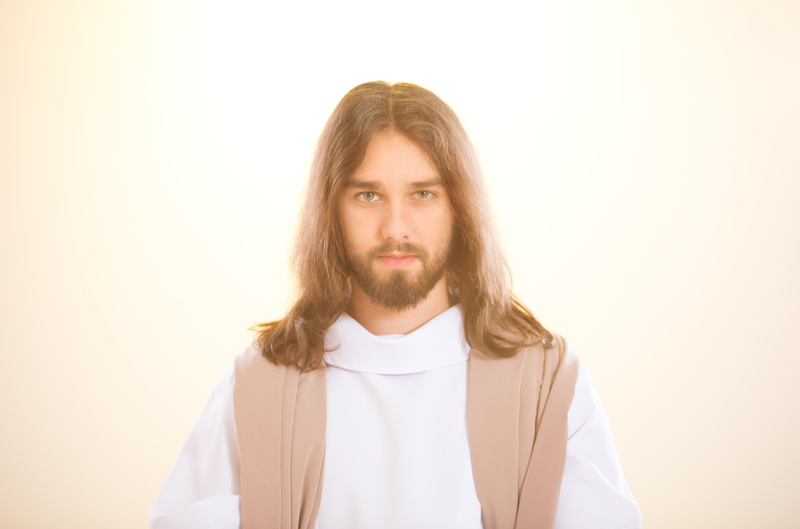 Perhaps Jesus also preferred the title, as it described this unique experience of the Son taking the human form. This short time on earth he would be the Son of Man, but that was only a fleeting moment, as soon he would be revealed as the Son of God. When Jesus stood in front of the High Priest, he finally defined publicly exactly what kind of Son of Man he claimed to be. The High Priest was asking whether he claimed to be the Messiah. But Jesus gave him so much more than that to nail him with on the cross: the full confession. The High Priest must have felt like a prosecutor cross-examining someone on theft and the accused confessing to an unsolved murder! But so different can be the perspective of Heaven from a merely religious view. The High Priest was God’s representative of the whole Temple System and head of the Old Covenant. He must have felt in full right to trick Jesus to confessing blasphemy, so that they could remove him as a minor inconvenience whose name would be soon forgotten. After all, the Temple system had stood for hundreds of years and outlasted all sorts of heretics. But from God’s perspective, the High Priest was also the head of now-corrupt, defunct, compromised system. And he was opposing and condemning the Redeemer of Israel. The man in front of him was the head of the New Covenant, about to bring down the old, failed covenant, and pronouncing judgement over the corrupt High Priest, the defunct sacrificial regulations, the Temple, Jerusalem and the whole nation of Israel. He was the new Temple of God, along with all those who were soon to be inhabited by the Holy Spirit. “I was watching in the night visions, and behold, one like the Son of Man, coming with the clouds of heaven! He came to the Ancient of Days, and they brought Him near before Him. Then to Him was given dominion and glory and a kingdom, that all peoples, nations, and languages should serve Him. His dominion is an everlasting dominion, which shall not pass away, and His kingdom the one which shall not be destroyed. This was enough for Jesus to be condemned on the charge of blasphemy. It would take less than 40 years before Jerusalem and its Temple system would be destroyed. But the man condemned by that Temple system, rather than being soon forgotten, would give birth to the greatest movement that the world has ever seen. And everything he said has been proven true in so many different ways, from his fulfilled prophecies to the superiority of his ethics and morality. In words of the centurion who witnessed Jesus’ crucifixion: “Truly this was the Son of God!” He was and is the Son of God, the Messiah, but he also is the Son of Man, enabling man to be filled with the Spirit of God. Do you want real change in your life? thanks colin, it is high time we make a difference in this generation. be blessed and am happy for this massage.